Today the Buddha is one of the most revered deities in the world. We are bound to take inspiration from this enlightened soul! 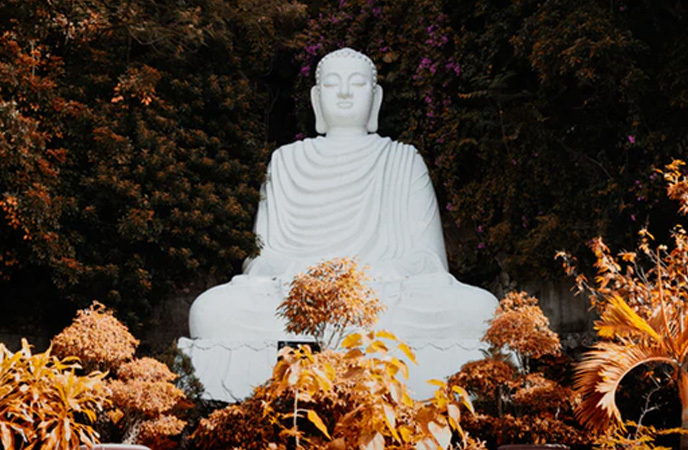 Many of us are not Buddhists or don’t even follow the principles of Buddhism but almost all of us have a Buddha statue adoring the entrances of our homes, on our office desks, on our study tables or any other place that we spend most of our time. 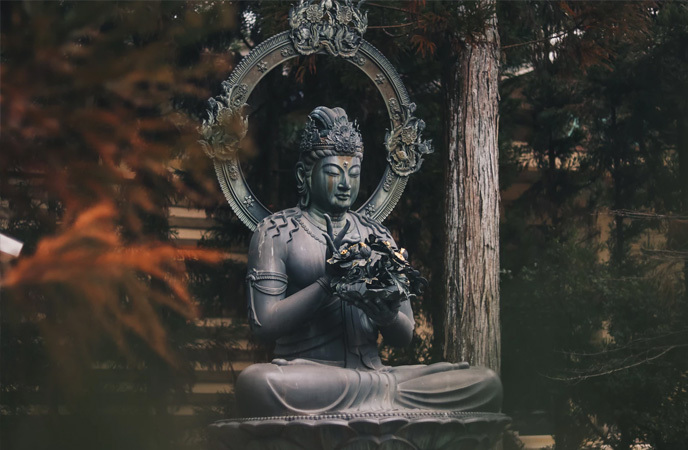 Well, the aura of the Buddha is such that he brings into our homes, office space and educational institutions all things good –fortune, positive vibes, protection, peace and much more. But how did this divine being begin his journey to enlightenment and why is he revered today? 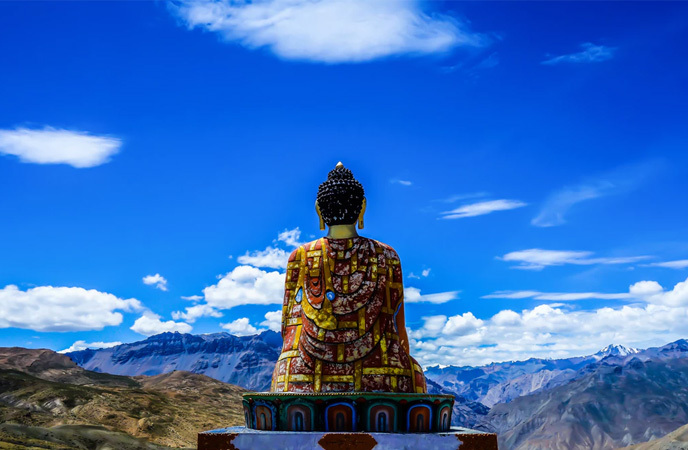 1) Human or God – Who was Buddha? 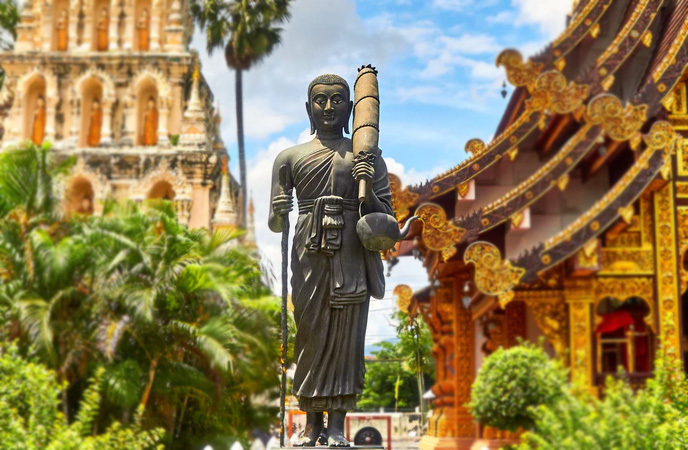 We’re all familiar that Buddha or Siddhartha was born into the royal family but with the passage of time and the events in his life, he decided to renounce his worldly pleasures and decided to attain enlightenment. However, upon his enlightenment he achieved immortal characteristics and had knowledge beyond his time. Buddhists around the world revere the Buddha as a deity and offer prayers to him. 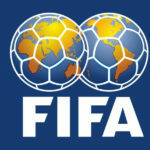 They continue to follow his principles and practice his values even 2,600 years of his existence. 2) What did Buddha believe in? The Buddha had come face-to-face with sickness, ageing and death while he was on an outing from his palace. He was well aware that reincarnation was part of life’s circle and people would have to go through these sufferings again and again. This led Buddha to make a strong resolution and renounce a life of comfort to free people from their vicious lifecycle. He knew that only through enlightenment could one help the people from their miseries and resorted to solitude, where he remained in deep meditation to attain a higher level of consciousness. 3) What does a Buddha statue signify? 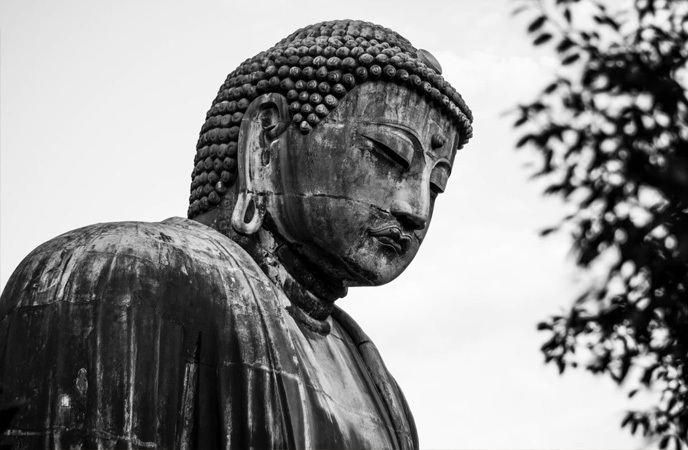 The Buddha statue holds significance right from the head to the toe. The head with curly hair signifies Buddha’s renunciation of his topknot after attaining ascetism. Half-closed eyes indicate a state of meditation and a reflection of a world within and outward. Large ears depict listening to what’s needed in the world. Hand gestures or mudras signify teaching and protection. A dot on the forehead symbolizes the third eye, similar to Lord Shiva, which is to see unity. A closed mouth indicates eloquent speech. The long arms and slender fingers symbolize generosity along with mindfulness, precision and purity in every act. While the Buddha’s round heels represent a stable temperament. 4) Why did Buddha Shave his Head? The Shakyamuni Buddha had long curly hair before he left his riches and palace. When he decided to take up ascetism, he cut his hair with a knife. Human hair often symbolizes their illusion or ignorance and therefore cutting it means doing away with ignorance. The body and mind should remain clean to attain enlightenment. Hence, Buddha shaving his head represented his desire to keep the body and mind clean to achieve his goal of enlightenment. 5) Why do people keep Buddha statues at home? Buddha statues are a symbol of Buddha’s teachings, fortune, inner peace and motivational factor for every human being. 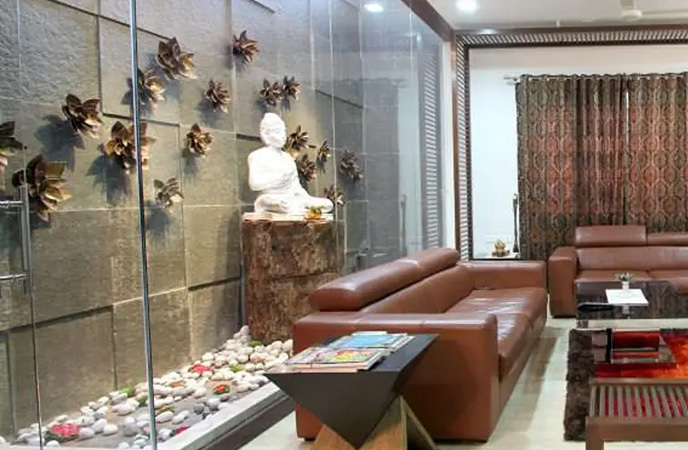 These statues are placed in home setups for various reasons including bringing home positive energy, warding off evil, academic achievement, relaxation and happiness. Placing them in favorable positions brings the desired outcome to your benefit. 6) What Direction is Best to Place a Buddha? It is good to place a Buddha statue in the living room where guests are seated. It creates a serene ambiance. Make sure that it is facing the front door. By doing this, you not only attract positive energy but drive away negative forces. Never place the statue on the floor, it is advisable to place it on a stool, table or on stand. 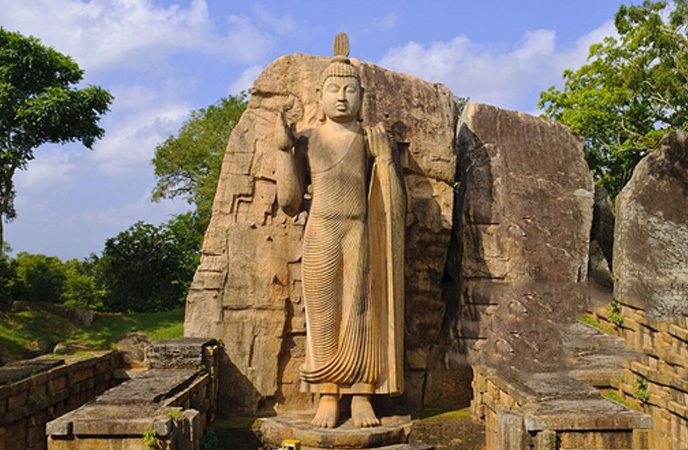 7) What does the Buddha statue represent? 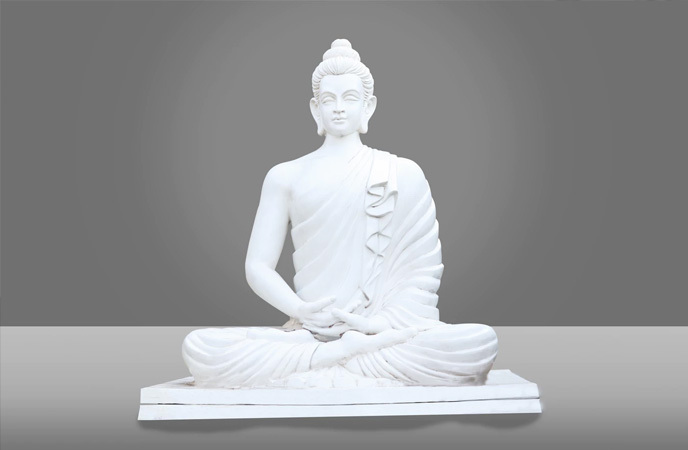 The representation of Buddha can differ based on the statue’s pose. The seated Buddha with a raised right hand indicates protection and overcoming fear. The meditating Buddha or the Amitabha Buddha represents focused concentration and stability. The earth touching Buddha with the right hand facing downwards and touching the ground indicates the calling the earth to be a witness. The reclining or Nirvana Buddha represents the last moments of Buddha on the earth before he could pass into the state of Nirvana. 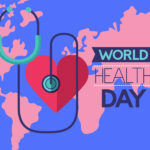 The medicine Buddha with right hand facing downward and fingers resting down represents delivering the knowledge of medicine to the world and granting a boon. 8) What does the Sleeping Buddha represent? 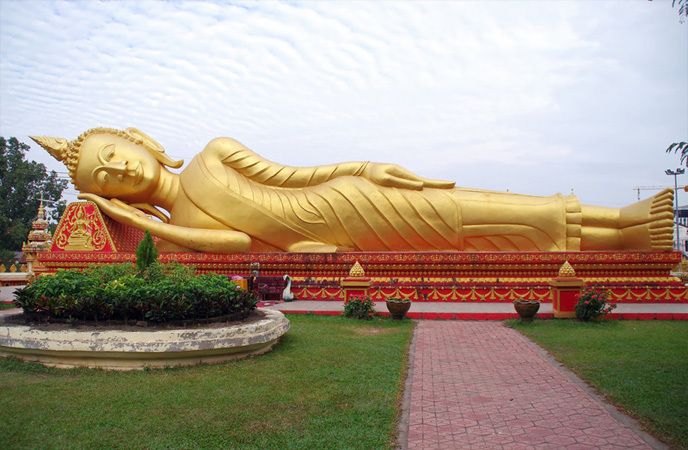 The sleeping Buddha or reclining Buddha represents the Buddha during the last moments of his illness. The Parinirvana stage depicts Buddha in a reclining position with his head resting on his right hand and his eyes half closed. 9) Why are there different Buddha statues? 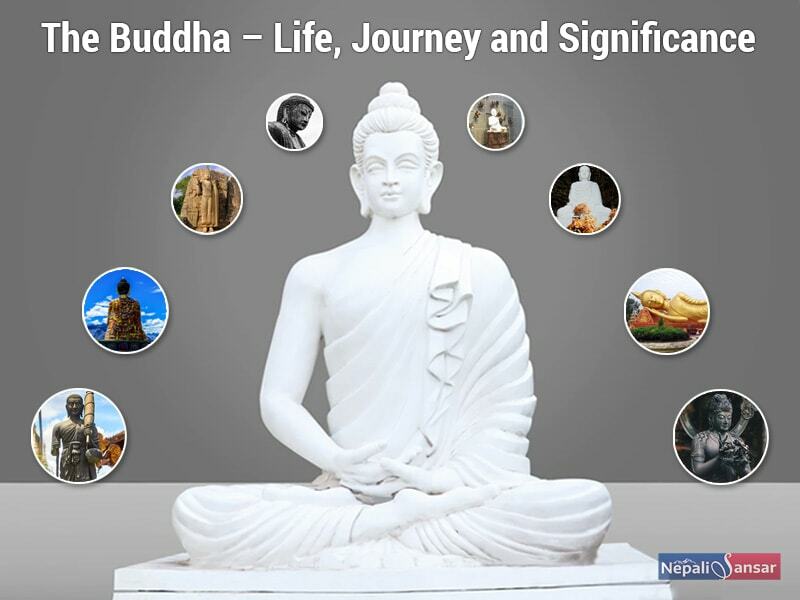 Buddha statues represent and signify the various positions of the Buddha and the meaning attached to them. Each position or mudra signifies a certain aspect or stage of Buddha’s life as mentioned earlier in our blog. On the other hand, most individuals confuse the Budai or Laughing Buddha with Gautama Buddha, whereas they are two different entities. The Budai was a simple happy monk who lived off alms given by people and had no desires. Interestingly, he followed Siddartha’s principle of rejecting the extremes and living with moderation. The journey of a lifetime begins with a step and that’s what Siddharta did out of compassion for his people. Today the Buddha is one of the most revered deities in the world. We are bound to take inspiration from this enlightened soul and cherish his presence in our lives and homes. 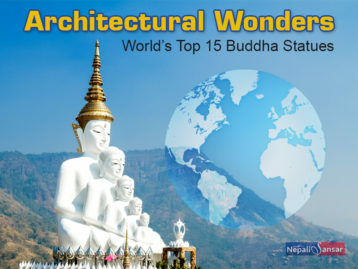 In our earlier post, we mentioned the World’s Top 15 Buddha Statues. Take a look at our post and get to know more about your beloved deity.